Here I am. — Я здесь. Here is my garden. — Вот мой сад. 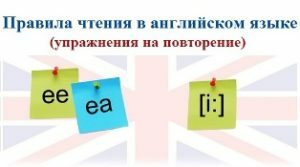 Какие английские слова по теме «Home» вы услышали в песне? Изучить английские предлоги места in front of / behind, in the corner of, onto и др. So next morning the mice went to town by car. The town mouse’s house was beautiful, but he didn’t use the key to open the front door. They got into the house by going under the back door. They were very hungry, so the town mouse took his cousin to the dining room. There was a lot of food on the table. «Look at that! — said the town mouse. The mice jumped onto the armchair and then onto the table. They began to eat some fine French cheese, some very tasty cakes and biscuits. They drunk lemonade and milk. Suddely they heard something in the hall of the flat. The door opened and the man walked in. He came to the table to get some fruit. «Be quiet! — whispered the town mouse. The man took an apple and went out of the room. The town mouse began to eat again, but the country mouse couldn’t eat anything because he felt so afraid. Suddenly he saw a big cat near the sofa in the corner of the room. The cat was large. It was sleeping, but then it heard something. It opened its eyes and saw the mice. The country mouse began to cry: «Help, help! A cat.» The cat looked up and jumped onto the table. It tried to catch the mice.